There are different positive training techniques to get our dogs to learn to do what we want in a very satisfactory way for them. Training your dog may seem an impossible task if you do not know the right techniques, but with a little effort, patience and through positive training, you will be able to achieve almost immediate results. Possibly the easiest and simplest technique is luring. It consists of using a piece of food as bait. We use it to guide the dog to get in a desired position. It is also very useful to convince the dog to follow us, for example, if it is with other dogs or when it has picked something up from the floor and it does not want to let it go. In these situations we will take a piece of food and place it directly on our dog's nose to get it out of the “undesired”situation. The key to the success of this method is to use very tasty and appealing rewards, something for which it is worthwhile for them to stop what they are doing. Another positive training technique is based on play, because it can be a very tempting reward for many animals. The essential element for it to take effect is finding something that makes the animal focus all its attention on us, such as balls, toys that make sounds or other toys. We can use these objects to motivate our dog to do something. For example, to get the ball, it must first sit. We may also use them to finish a training session. If your dog loves toys, then this will definitely be a very effective technique. A third technique is called targeting. 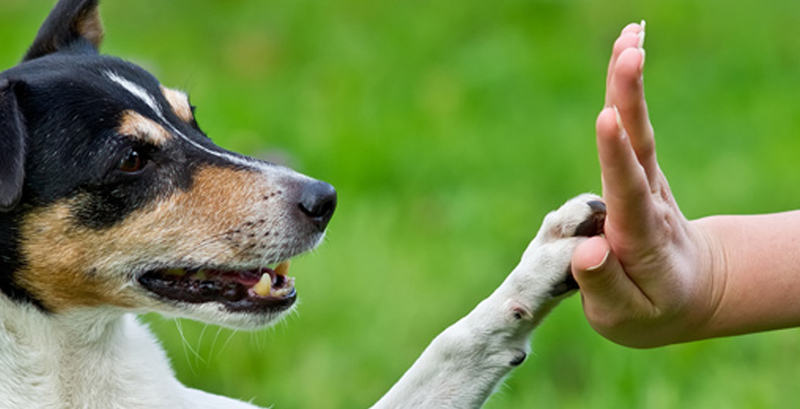 It consists of the dog learning to hit a specific target with its nose or paw, with the specific target being an open hand, or the tip of a finger or a stick, for example. This method serves progressively to teach the dog what you want it to do. 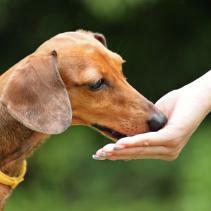 Also, it is helpful to guide your dog to different positions if it does not obey when you guide it with food. Some zoos use targeting to train wild captive animals. Dangerous animals such as large felines can be trained to touch an object with the nose and stay put in that position. Veterinarians can then take advantage of this to carry out non-invasive examinations because they can touch the animals without the risk of being bitten or suffering a blow. With these three positive training techniques our companions will learn to behave as we wish in a way that is very satisfactory for them and easy for us.